San Antonio is rated by the Texas Commission on Environmental Quality as having a superior water system. But that doesn’t mean that the water you are drinking and using in your house or business can’t be improved. San Antonio has hard water. Hard water can cause soap scum in tubs, showers and on shower doors and other inconveniences. By conditioning your tap water, you can save money by not having to buy bottled water and enjoy all the benefits of a water softener or water filtering system. H2O Pros offers several options to provide your home or business with fresh, conditioned water. H2O Pros offers Clack water softeners, as well as other brands upon request. 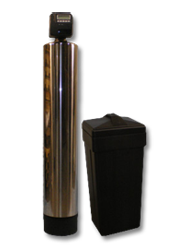 Our water softeners condition your water so life will be easier all around your house. H2O Pros offers a variety of water filtration systems to fit your family or business needs. We’ll stop by and offer you a no-hassle estimate for your installation or repair needs. Guaranteed.